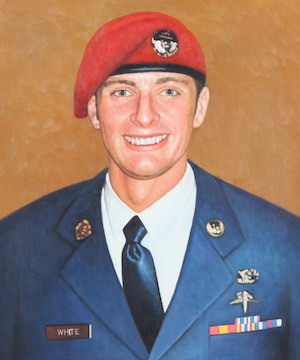 Benjamin was a USAF Pararescueman deployed to Afghanistan as part of the 46th ERQS. On 9 June 2010, while on a mission to rescue a wounded British Marine, the helicopter that Ben and six other Airmen were in was shot down by a RPG. Ben was killed that day along with three other members of the crew. (A copilot from the flight also died three weeks later as a result of the crash.) Ben and his brothers gave their lives in a true testament to the Pararescue motto, "These Things We Do That Others May Live." Ben was a true American Hero because he truly believed and LIVED, "Greater love has no man than this, that a man lay down his life for his friends." He had this scripture tattooed across his back shortly after joining the Air Force.